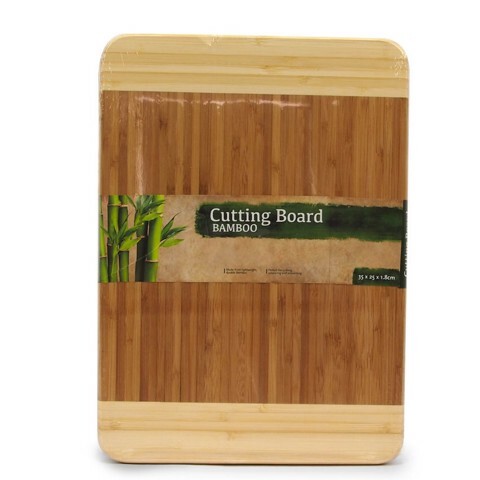 Cutting Board Bamboo 35X25Cm. 35 x 25 x 1.8cm. Natural Bamboo Colouring. 100% Reconstituted Bamboo. 0 Packaging: Shrink Wrap with Colour Label.